Build your business through better packaging. Our bags feature a center window panel and a stock print design that will help to attract point of purchase sales within the Bakery. 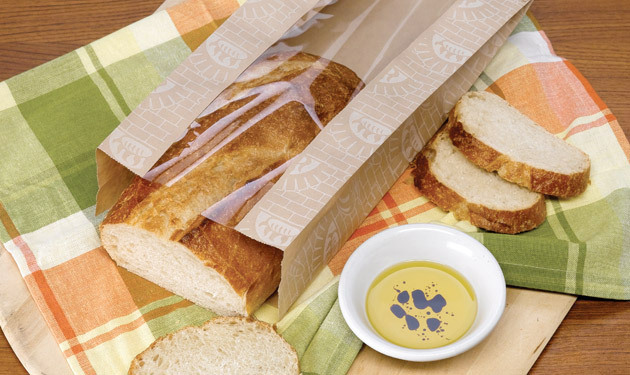 Our bags are made from Natural Kraft paper with micro-perf side gusset vents to keep the bread crusty and your customers coming back!